Paul Eugène Louis Deschanel (French pronunciation: ​[pɔl deʃanɛl]; 13 February 1855 in Schaerbeek – 28 April 1922) was a French statesman. He served as President of France from 18 February to 21 September 1920. Paul Deschanel, the son of Émile Deschanel (1819–1904), professor at the Collège de France and senator, was born in Brussels, where his father was living in exile (1851–1859), owing to his opposition to Napoleon III. He is one of only two French Presidents (the other is Valéry Giscard d'Estaing) who were born outside France (Deschanel in Belgium, Giscard in Koblenz, Germany). Paul Deschanel studied law, and began his career as secretary to Deshayes de Marcère (1876) and to Jules Simon (1876–1877). In October 1885, he was elected deputy for Eure-et-Loir. From the first, he took an important place in the chamber, as one of the most notable orators of the Progressist Republican group. In January 1896, he was elected vice-president of the chamber, and henceforth devoted himself to the struggle against the Left, not only in parliament, but also in public meetings throughout France. His addresses at Marseille on 26 October 1896, at Carmaux on 27 December 1896, and at Roubaix on 10 April 1897, were triumphs of clear and eloquent exposition of the political and social aims of the Progressist party. In June 1898, he was elected president of the chamber, and was re-elected in 1901, but rejected in 1902. Nevertheless, he came forward brilliantly in 1904 and 1905 as a supporter of the law on the separation of church and state. He also gained a position on the Committee of Foreign Affairs, and was president of the committee when the Franco-German treaty of 1911 came before Parliament. He was re-elected deputy in 1910, and on 23 May 1912 was chosen to be the Presidency of the Chamber. In this role he played a great part during World War I as the national orator; he delivered orations more frequently than he made speeches. He served until he was elected President of France on 17 January 1920 by an overwhelming majority, having beaten Georges Clemenceau in the preliminary party ballot. Deschanel aspired to a much more active role as president than had been de rigueur under the Third Republic; but, for reasons of his own mental health, was unable to put his ideas to the test. As president, his eccentric behaviour caused some consternation; on one occasion, after a delegation of schoolgirls had presented him with a bouquet, he tossed the flowers back at them one by one. On another occasion he received the British Ambassador to France naked except for the ceremonial decorations of his office. [better source needed] It all culminated when, late one night, 24 May 1920, he fell out of a large window of the presidential train near Montargis after taking some sleeping pills and was found wandering in his nightshirt by a platelayer, who took him to the nearest level-crossing keeper's cottage. Soon afterwards, Deschanel walked out of a state meeting, straight into a lake, fully clothed. His resignation was offered on 21 September 1920, and he was placed in a sanatorium at Rueil-Malmaison for three months. After his release he was narrowly elected to the senate in January 1921, serving until his death. He was the only French head of state during whose term in office no persons in France were executed until the death penalty was abolished in 1981. Deschanel himself was a longtime death penalty opponent. La Décentralisation (1895), La Question sociale (1898). ^ a b c d One or more of the preceding sentences incorporates text from a publication now in the public domain: Chisholm, Hugh, ed. (1911). "Deschanel, Paul Eugène Louis" . Encyclopædia Britannica. 8 (11th ed.). Cambridge University Press. p. 91. ^ a b This article incorporates text from a publication now in the public domain: Chisholm, Hugh, ed. (1922). "Deschanel, Paul Eugène Louis". Encyclopædia Britannica. 30 (12th ed.). London & New York. pp. 835–836. ^ Owen, D. (2003). "Diseased, demented, depressed: Serious illness in Heads of State". QJM. 96 (5): 325–336. doi:10.1093/qjmed/hcg061. Agénor Bardoux was a French statesman and republican, son of Jacques Bardoux and wife Thérèse Pignet. Joseph Athanase Doumerc, commonly known as Paul Doumer, was the President of France from 13 June 1931 until his assassination on 7 May 1932. Eugène Rouher was a French statesman of the Second Empire. Paul-Armand Challemel-Lacour was a French statesman. Eugène Spuller was a French politician and writer. Jean François Victor Aicard was a French poet, dramatist and novelist. Charles-Ange Laisant, French politician and mathematician, was born at Indre, near Nantes on 1 November 1841, and was educated at the École Polytechnique as a military engineer. Auguste-Laurent Burdeau was a French politician. 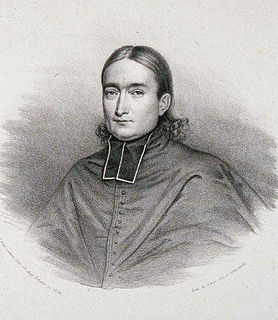 Louis Eugène Marie Bautain, was a French philosopher and theologian. Louis Joseph Buffet was a French statesman. Clément Armand Fallières was a French statesman, President of France from 1906 to 1913. 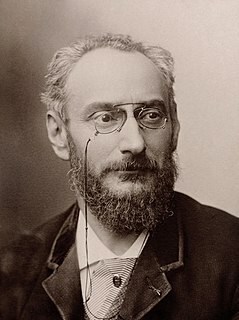 Félix Jules Méline was a French statesman, prime minister from 1896 to 1898.